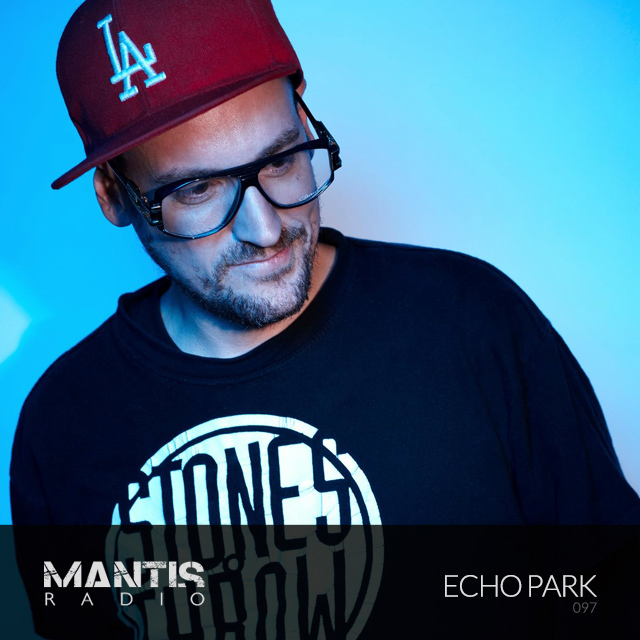 Formerly known as Gunjack we welcome back to Mantis Radio Brian Gibbs and his West Coast hip-hop project Echo Park. Echo Park – Do Androids Dream of Electric Jeeps? Show 97. Show. Number. Ninety. Seven. And indeed our final show proper of 2011. This week we welcome back a producer who in the past 18 months has gone from a decade of hard, industrially edged broken techno to boogie funk. Welcome back to Mantis Radio – Brian Gibbs and Echo Park. As Gunjack, Brian graced our show back in early 2009 (with a double showcase session alongside New York’s Hellfire Machina). His sound has morphed quite dramatically from thundering hard, relentless techno into boogie funk, disco powered hip-hop beats. It’s something different yet again for us here at Mantis Radio and an upbeat send off for our final show of 2011. 2010 was a turbulent year for Brian. With an 8.8 magnitude earthquake his family and he had to content with at his home in Santiago de Chile in February, to August when he was hospitalised for weeks with ruptured internal organs and blood poisoning. Following a month long battle in hospital Brian finally got back to his studio and producing beats. His move from hard edged dark sound had already begun with his Dials Mavis and Marty McFly projects. Slowing down the tempos, bringing swing and space in and producing much less anger powered sound. As Echo Park, Brian has found support with many, most notably Skream who has already released the much loved Fiber Optic single on his own Disfigured Dubs imprint with an album to follow early next year. Currently in London for a few weeks to record more material for Disfigured, in between continuing studio sessions in Hammersmith and Hackney, Brian took time out to record an exclusive guest session for our show, which I present tonight.